“More you sweat in peace, less you bleed in war” is an old saying and I had planned well. As the 50-day deadline of the Demonetisation exercise neared, the cash crunch should have ended by now and everything should have been in place. This was the time when media would be hunting for the story, any story, on how people were still suffering and things were as bad as three weeks back. And I wanted to be the story. Accordingly, I planned my trip. I had chosen a time when tourist crowds would be huge, creating a seller’s market for hoteliers; Christmas weekend was ideal time. I had chosen a place which was in backyard of nowhere as far as communication facilities are concerned; Lavasa was ideal. I had not booked a hotel and confirmed before hand that most hotels were booked to capacity. And I had planned to reach there only later in the afternoon to reduce any chances of getting too many options. The planning was meticulous; the execution had to be perfect. 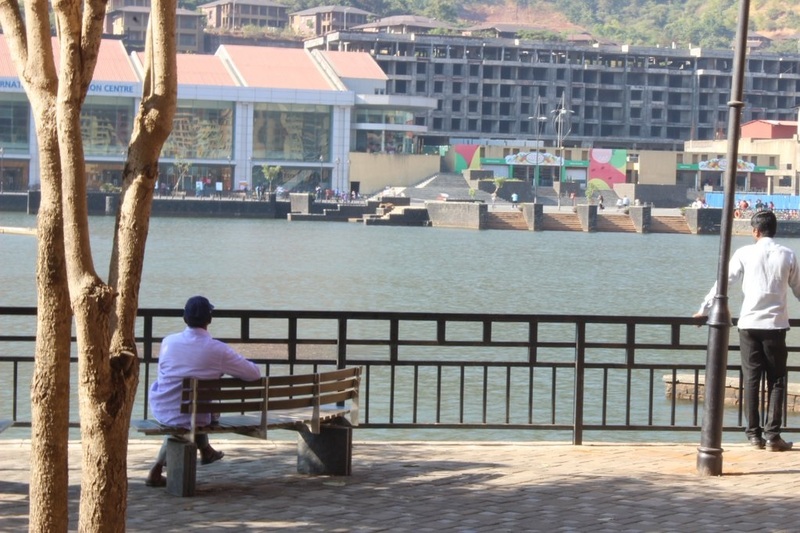 We reached Lavasa around 4 PM and took the first trail leading to a hotel. The hotel had a board clearly stating that the credit / debit cards were not accepted there. Luck is nothing but a designed consequence of perfect planning! As the counter guy searched for the key to the room number 1, I stole a glance to the dashboard on his desk. The numbers from 2 to 9 were struck out, only number 1 was staring happily at me. This was the last room available. Everything was working out! To the last detail! We saw the room, liked it, accepted the tariff and told the manager about our cash crunch. The tariff was 4000 and total cash available in my pocket was 3000. After listening to an unsolicited advice about keeping sufficient cash, always, we paid an advance of 2000 and acknowledged the unstated threat of the manager that if we could not arrange the balance in cash by evening, we would need to vacate the room. Perfect! Now only one last piece had to fall in place. The ATMs should not have cash. As we sauntered to the waterfront, we found the first ATM shutter down. I was almost jumping with the joy of one whose dreams are close to coming true. As we walked towards the second ATM, I began visualizing the fame and celebrity status, the invites and interviews, the memberships and grants and everything else that would come my way, once the last piece fitted into place. The subsequent turn of events was kind of automated, like a self-fulfilling prophesy coming true. Once the second ATM was found to be cashless, the hotel would evict us, and events would follow the script. Once evicted, we would go to the riverfront, take a picture of four of us along with our suitcases, looking miserable, dishevelled and famished, shivering due to cold, sobbing & crying alternately but trying to comfort each other. I had carried a DSLR for this purpose; quality is important, you know. It would begin with a tweet, “My cashless family forced to spend night on the footpath of Lavasa, starving, freezing in a winter night. #Demonetization is a success PM Modi?” It would be instantly retweeted by a couple of Chief Ministers, their followers, paid or unpaid, their supporters in media, both paid and unpaid. By morning, media would have the story, running it as ‘Breaking News’, showing our picture and talking to us over phone, asking us about how we spent the night, how are we feeling now and our view on the disastrous economic policies of the government. By afternoon, one Chief Minister would demand Prime Minister’s resignation, another CM would compare our current position with Nazi concentration camps. By evening, the quiz master turned politician would arrive in Lavasa to do a dharna in our support. Another CM would declare us as #Demonetization martyrs and announce a compensation of two lakhs. By evening I would be a celebrity. And the real fun would begin then. I would get a short cut to the cosy club of intellectuals, I would be invited to lecture in JNU, feted at Literature festivals, a book contract would be within reach. As I was contemplating the title and contents of the book I would write (or copy), striding purposefully towards the ATM, I was distracted by a conversation between my son and a younger kid at the games corner. “I would buy two tickets you want using my mobile wallet and you pay me the amount of Rs. 300 in cash. We have run out of cash and need it.” The kid agreed instantaneously and my son walked towards us proudly flaunting the three 100 rupee notes. I was aghast! This wasn’t supposed to happen! People were supposed to fight each other in this situation, become enemies of those with cash, mock those without it but not help each other! I was about to blame this incident on the innocence of the kid as my daughter walked up to a take away food-joint & told the person at cash register that she wanted to buy snacks worth Rs. 500 if he could swipe her debit card for Rs. 1500 and give her Rs. 1000 as cash. The counter boy agreed quickly and few seconds later, she walked back to us with one note of 500 (new) and five notes of Rs. 100! My well laid plan was being blown to smithereens by my own family! They were hell-bent on changing my cashless status and crushing all my hopes and dreams! While I was still in my grief-stricken state, my wife entered into shop selling creams, ointments, soaps and other things that they sell at tourist places. The purposefulness of her stride warned me that the ruins of my hopes were about to be subjected to another calamity and I followed her. My nightmarish foreboding turned out to be true! Here too, the shopkeeper happily agreed to accept Rs 2000 through a mobile wallet while selling items worth Rs. 650. Next hour or so, my family went around with the zeal of those fighting the scrooge of black money, converted the credit in cards and wallets into cash while they ate, shopped, played games and did what tourists do. By end of the evening, we had enough to pay hotel bill, in cash, and a lot more. As I surrendered to the hopelessness and despondency of my shattered dreams, the astonishingly contrarian behaviour of the shopkeepers came back to trouble my mind. Since decades I had heard the oft-repeated saying, “90 out of 100 are corrupt but my India is great” and believed it. I always thought that the common man, especially the small businessman is corrupt or doesn’t care about corruption, doesn’t bother about colour of money, whether black or white, wants to avoid taxes, can resort to fraud or cheating when the opportunity offers itself. But, here they were, having lost their business income over the last month or so due to cash crunch caused by demonetization, having stood in queues outside ATMs or Banks, only to deposit their hard-earned money or withdraw it, forced to shun the warmth of cash and adopt the cold cashlessness and unfamiliar technology, but still willing to go out-of-the-way to help a tourist who needed cash, without being legally or morally bound to do so, even waiving off the charges they would incur while encashing the credits they received. Maybe what I had been taught about all Indians being corrupt was wrong. Maybe, the inherent goodness of Indians had been covered by the black soot of a corrupt ecosystem that thrived in our beloved land and hence had become invisible. All it needed was one strong gust of wind, the wind of change, of a government with right intentions, to make the goodness start becoming visible, again, in patches though. Some more scrubbing, washing & cleaning and this goodness can shine through. Passing thought: Had I been a journalist, I could have crafted this story sitting on the couch at his my home, with a glass of scotch in my hand, hate in my heart and agenda on my mind. But alas! I am not a journalist and I had to live through this story to give it a life.